Wow, that's a tricky one. Well, I grew up in Michigan, but I went to college in Ohio, and I've lived in Indiana, Maryland, Pennsylvania, and California as well as Angelbachtal, Germany and Vancouver, British Columbia, Canada. My husband is British, so we spend a lot of time in England as well, and we travel around the world whenever we get the opportunity. At this point home is pretty much wherever I'm living! I've taken a lot of art classes through the years, from painting and photography to metalsmithing and art history, but my main concentration was ceramics and ceramic sculpture. I love sculpting - give me a block of clay and a sculpture just flows from my fingers. 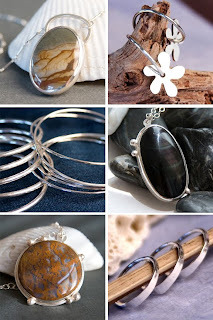 When was the first time you tried your hand at metalsmithing and what prompted you to give it a shot? Well, I've always loved jewelry. I started collecting jewelry as soon as I had a few quarters to rub together. My father traveled extensively for business, as well, and he'd bring back jewelry from different countries, which fascinated me. So when I started taking art classes, one of the earliest classes I took was metalsmithing. I didn't enjoy the class at all (in retrospect, I had a really poor teacher). But I learned the basic techniques, so when I eventually turned back to jewelry I had a good foundation to work from. Creatively, what do you consider to be your first artist success and why? My first really successful sculpture was titled "I Dream I Can Fly Away". Like most of my sculptures, I didn't really start with an idea - it just sort of happened. But the piece is somehow haunting. I still see something new in it every time I look at it. You can see it here - http://www.johollingsworth.com/art/i_dream.html - and yes, I named my shop after it. Creatively, what was your biggest disaster and what did you learn from it? I had one sculpture that I didn't let dry long enough before I put it in the kiln. It exploded during firing and took out a whole shelf of other peoples' work, including a gorgeous vase that was next to it. That was definitely a disaster! Beyond that, I've melted quite a few pieces of delicate jewelry, and I've had any number of designs that seem brilliant in my head but just don't seem to translate into metal. But I just consider those learning experiences. What are your favorite materials and techniques to work with? I love cold forging, and recently I've really been enjoying setting cabochons. I've just started soldering gold, as well, which is a lot of fun. Ask me again in a few months, though, and I'm sure I'll have a new answer. That's the fun of metalsmithng - there's always something new to learn! I'm always shuffling things around to make space. What inspires you most in your creative process and why? I'm inspired by that magic place where form meets function. This is one thing jewelry offers me that I can't get from sculpting - sculpture is gorgeous, but you can't wear it to a party. I love to take an idea and turn it around in my head until I figure how to turn it into a piece that is both flattering and comfortable. How will it look while being worn? Will it hang right? How will it age? Will it show wear? Will I still love this piece in 5 years? I often contemplate a design for weeks or months before I try to turn it into metal. 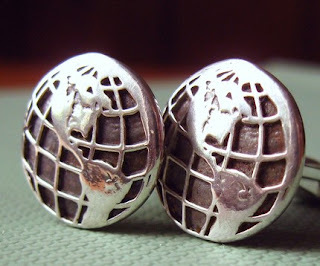 Is there one Metalsmith/Artist that you really admire whose work inspires you? One of the first art history classes I took covered tribal arts, from the Pacific Northwest Coast Indians to the Maori in New Zealand. I'm still really inspired by native craftspeople. 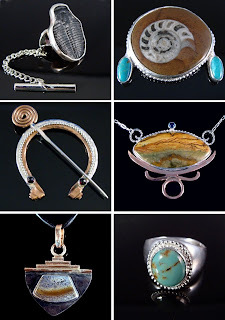 My current obsessions are Maori greenstone jewelry and Navajo silverwork. I'm still in love with my Mod Flower necklace. I designed and made this in a week for a last minute black-tie affair. It's my go-to necklace for dressy occasions. I recently made this rainbow obsidian necklace as a custom order for one of my customers. I really enjoyed combining silver with rose gold. I love how this came out! What are your ten year goals in terms of your metal work? My ten year goal is not to get bored! One of the things I love about metalsmithing is the constant learning process. If I live for 100 years I'll never learn all of the possible ways to work metal. At the moment I'm really interested in learning wax carving, which I think would go nicely with my sculpting background, and learning blacksmithing, which I think would translate well to jewelry. Born in Maryland, my Dad (an electrical engineer) was in the Army at Aberdeen Proving Grounds at height of Cold War, but I grew up in Chicago area where the families were mostly from. When I’m not playing with sharp objects or flame-throwing torches and hot metal I do enjoy a Killian’s or a Guinness. I had an art class in 7th grade. Does that count? I got a B- …I refused to do the abstract that was popular back then and was instead drawing realistic portraits of all the pretty girls in class. The B was a bummer, but the drawings helped me stay reasonably popular amongst the young ladies. Eclectic would describe my so-called Art training. My Mom was a wonderful painter and musician and I learned quite a bit from her (painting that is, I can’t play a note). In my formal education I concentrated in philosophy, writing, physical and biological sciences and am a practicing Neurobiologist/Professor. My professional work has mostly involved electrophysiology, imaging, using fluorescent molecules, and a great deal of micro surgical and dissecting work. Great for developing strong 3-D visualization skills and hand-eye coordination. I have dabbled semi-seriously in creative writing, electronics, sculpting, carving, painting, and drawing. I believe strongly in life-long learning. Well…my first real piece of jewelry was made in January of 2008. It remains my favorite for sentimental reasons. I had been making jewelry in my head and reading about it for long before that, call it latent learning. 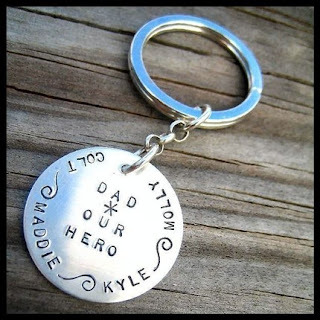 I had made metal sculptures as a young man and loved beating on metal but I was finally driven to make adornment because I wanted to bring to life all the pretties floating around in my brain and make gifts for my wife, friends and many nieces and nephews. Truly, when I was about 10-11. I spent a great deal of time in my room reading and trying to imagine what it would be like to actually be Batman. Well, I took a box of toothpicks from the cupboard and a little bottle of Elmer’s glue from my Mom’s junk drawer. I just started making a sleigh. Why? I have no idea but I do remember loving the Bing Crosby Christmas movies and scenes from those were happy thoughts. Somehow, the thing went from my brain to my hands and I made an elaborate sleigh. I clearly remember bringing it to the table at dinner and being worried that Mom would be upset that I had taken the toothpicks, or my younger brother and sister would make fun of me. I don’t remember the details, but I sure remember the hugs and compliments. I think that was when I realized I could really be a maker. All on my own. What a rush! I also try to remember that as a lesson to me about how powerful the emotional connections to creativity are and how important is encouragement of talent and potential in others. In college, I would salvage metal parts from anything I could get my hands on, radios, clocks, old roofs, old cigarette lighters etc. I would use hammers and pliers to shape, and a soft-soldering iron to turn this assorted junk into sculptures. I did angels, dragons, trees, birds, faces, robots, etc. One of the guys had their parents down for a visit and the dad went ga-ga over my work and offered to pay me to make a dragon for him. We agreed on a price and I made a spectacular dragon. About a year went by and my buddy told me, with some trepidation, that his dad was kind-of disappointed. My dragon had, over time, developed all manner of crystal growth and verdigris that, while didn’t really look too bad, for him it ruined the sculpture. If I had done it with intent I might have thought it a success. BUT, I did it in ignorance, not realizing the effects of mixed metals, lead-based solder, acid flux mixed with humid air and time. That made me realize the importance of trying to understand my materials as well as possible and while I still love to experiment, I work hard to fight my own ignorance of technique and materials. Silver, copper, gems and stones…in that order. I have a great respect for PMC as well and try to use it for accent pieces and sculptural elements. What little I have worked with gold, I do love it, but ‘tis a bit expensive for me yet. I love to solder! I actually get a kick out of using hard solder and bringing the piece just to the edge of having the whole thing melt (without holding it there and causing firescale of course). I also enjoy fabrication…I love the putting together of hand-formed components, sometimes 8, 9, 10 separate solder operations. Once in awhile I goof it up, but it is a great challenge and loads of fun. I seem to be one of those people who is incredibly organized in my mind, Yet, to all external appearances I might seem to be a bit discombobulated. Well, it is a mess, but it seems to work for me. Nature and my heritage. I am really drawn to simple relatively ancient forms. The curvatures of leaves, the fractal growth of tree limbs or veins in the wings of dragonflies. I also have an affinity for Art Deco and Art Nouveau styles and Mission Arts & Crafts furniture. As the unofficial family genealogist I also have a strong connection to my cultural heritage. When I got old enough to explore it myself I realized what a rich history there was in my heritage and I love exploring that in my metalwork. Tim McCreight. Hands-down, no comparison for me. It is from his books that I learned enough to attempt metalwork myself and I am a great admirer of his skill and his ability to figure a thing out and convey it in a way I can understand. The first fave is my first piece, a large crystal opal with bright blue fire. I set it as a tie tac for myself. This stone was a gift from a great aunt and uncle who traveled the US and one day when I was 8 they showed up unexpectedly. They gave to me this stone that they had collected and hand polished and I carried it around with me for decades. The second picture is a recent gift I made for one of my nieces, Meghan. It combines all of my favorite elements; forging, fabrication, texturing, design and my Celtic identity. This is a piece I am working on for the store. I’ll be making more of these Penannular Celtic brooches and am awaiting some rose cut gems to incorporate, making them a bit more classical and authentic to what is in my brain. First and foremost I seek to hone my skills through practice and experiment. Right now I design in my head, my affinity for drawing and painting hasn’t played out linearly in my jewelry. Instead, I treat the stones and metals as if they were my paints and I lay them out, manipulate them, and design mostly on the fly from visions in my brain. Mix and match until I get the effect I want. While that works for me (I think) I hope to become more intentional in my designs, thinking them through and drawing them first. I might reduce the number of missteps if I get better at that. Of course, maybe not. When I carve or sculpt I never use a model either, which many claim is essential, so perhaps it is just the way my brain works. I don’t know yet, but I aspire to be a better designer. Name: My name is Kristen Ramsey but, everyone usually just calls me Kristie. Where you hail from: I was born and raised in Massillon, OH, a wonderful little town of about 30,000 people that is about an hour south of Cleveland. I still live in Massillon today. Art Training/Education: I don't have any formal art training or education. I come from a very artsy/crafty family. When I was little and my grandma would watch me she would always have some sort of craft for me to do. She was amazingly creative and talented so, I think it all started there for me. I do take metalsmithing classes, though, from a very talented girl named Kristina Malcolm. She has taught me a lot of what I know about the art of metalsmithing. 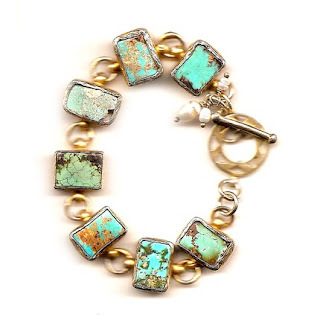 When was the first time you tried your hand at metalsmithing and what prompted you to give it a shot? The first time I tried my hand at metalsmithing I had no idea that the class I had signed up for was metalsmithing! I thought I had signed up for a PMC class! I remember getting to the class and I was given a length of square sterling wire, a length of 16 gauge round wire and a pearl and thinking "Wow, I think I made a mistake this isn't PMC." but, decided to try it anyways and I had so much fun that I just wanted to keep taking more classes and learning as much as I could and here I am! It's so funny how that happened but, it was meant to be. Creatively, what do you consider to be your first artist success and why? I think my first artist success has been getting accepted at the Ohio Arts and Crafts Guild Gallery in Canton, OH. I feel like being accepted has made me feel successful somewhat with my art. It makes one feel like you aren't the only person who appreciates it someone else likes it too. It's validation I guess. Creatively, what was your biggest disaster and what did you learn from it? Hmmm...that's a hard question. I try to have a focus for each project so, that I don't have any disasters. I try to avoid those at all costs! Even if something doesn't turn out quite the way I expected it I don't call it a disaster it's more like a learning experience for me. I think it's probably because I'm so new to metalsmithing it's all a learning experience for me. Some projects turn out great just the way I want and others if it doesn't turn out I know I need to practice that skill some more. What are your favorite materials and techniques to work with? Right now my favorite metalsmithing technique is piercing and my favorite material to work with is fine silver. I love fusing fine silver! You gotta love that it takes no solder and no pickle. It's fast. It's fun. It's easy. I just made some stacking rings with it and they were so cute I had to keep them for myself! What inspires you most in your creative process and why? Nature inspires me the most in my creative process. I love nature and all that goes along with it so, it's only natural that it flows into my creative process. I also love that nature is not perfect and I like that look. In my jewelry it's not an imperfection but, part of the charm of it. 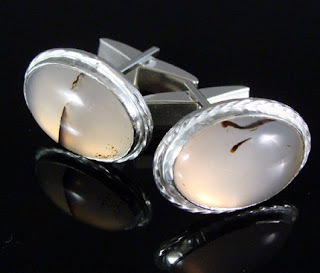 Is there one Metalsmith/Artist that you really admire whose work inspires you? I can't think of just one person whose work inspires me although, my teacher Kristina Malcolm does some amazing things. Her piercing skills are beyond belief to me so, she inspires me to work harder at that so, that I can maybe someday be that good at piercing. We also have some very talented members of our team who inspire me to work hard too! What are your ten year goals in terms of your metal work? My ten year goals in my metal work are to sell enough pieces to have all the tools that I need to do everything that I learn in class at home. Right now that is my biggest frustration and my biggest roadblock. I'm a stay-at-home mom for the most part (which I love BTW and don't want to give up) so, that makes things a little bit tougher for me in terms of buying all the equipment I need, but I have faith that it will a happen in time. that special Father in your life. Isn't he worth the absolute best? 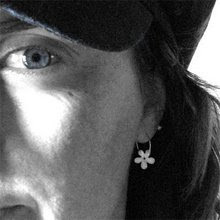 We have a new team member, Jo, of IdreamIcanFly.etsy.com. "After much searching, I've finally found a recipe for pickle that's non-toxic, and actually works! For those of you non-silversmiths out there, in the silversmithing world pickle is used to remove the coating from silver (and other metals, I'm sure) after they're heated with a torch. It's a necessary part of the process. But for obvious reasons, I've never really been fond of having sulferic acid in my house. I've tried other non-toxic pickle recipes, and they all seem to work veeeery slooooowly. This one, though, this one is fabulous. You take vinegar (just regular vinegar), heat it up in your pickle pot, and add table salt until the solution is saturated. That's it! As far as I can tell, it works just as fast as the standard pickle from Rio Grande. The only problem I've had so far is that it's a bit cloudy, so you kind of have to fish around for your pieces. I may have put too much salt in, though. We'll see if it clears up with use. UPDATE: I've tried it heated up in the pickle pot now, and it's fantastic! It's actually faster than the standard pickle. I can see my pieces turning white as I'm setting them down. And it's not cloudy anymore, either. Fabulous!" to all who participated in and helped support our Mother's Day Contest. 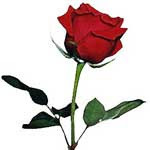 First, find all three of the hidden Rose images hidden within the below shops. Today marks the start of my Monday tutorial postings. To be quite honest with you, this past week flew by and left me with no time to prepare a proper metalsmithing tutorial. Since the one thing we all do is photograph our work, I decided to start here. Your photos have less than 2 seconds to draw a potential buyer in...to make that first click. Also, properly photographed and cropped photos will be the ones that make it into the sought after treasuries. So, as a warm-up exercise for myself, a refresher for us all, and perhaps new and exciting information along the way, my first tutorial will highlight the must do's, have's and don'ts of jewelry photography. The very first don't: don't use the flash! Camera flashes wash out colors, creates sharp reflections on your metal, and quite frankly, appears very amatuer-ish. DO purchase (or make) a light tent or table top photo studio. I got mine (pictured below) at Amazon.com for a very reasonable price that also included two lights, 1GB memory card, a tripod, and all sorts of care supplies for my camera. And your camera must have a macro option...a lens capability that allows for up-close photographing. No fancy camera is needed. Many companies sell cameras around $150 with adequate macro. I personally have a Canon A530. The lag time between shots is rather long, but my subject isn't moving, so I can live with this! Do find a spot to set up your photo studio, permanently. Locating your studio next to a bright window (not direct sun if possible) is key. Natural light is the best for jewelry photographs. To save space, I set mine up on the bench where my rolling is mounted. Do use a tripod if you are unsteady. Do invest in nice tabletop photo lights if you will be photographing in dark conditions. DO be consistent with your backgrounds and props. When viewing a shop, customers prefer a harmonious arrangement of colors and textures. Backgrounds can distract or enhance. Love the bright tropical colors of the Bahamas? Awesome, just don't mix in photographs with backgrounds of moody, earthy ochres and mosses. Along with backgrounds, props can create a "story" within your work. What is the story you would like to tell? Nature lovers love jewelry, too? Grandmother's attic is full of surprises? Quiet day by the lake with a good book? You get the idea!! Have your props ready to go when you are ready to shoot. Above is my current line-up that I am slowly introducing into my photos. By keeping your props gathered together next to your photo studio, you will save time and will be able to list your lovelies sooner than later! Do crop and play with the brightness and saturation. Sometimes, even in the best conditions, the photo's color and brightness are not as you saw with your own eyes. When cropping your photos, play with these adjustments for optimum results. Also, experience with subject positioning. Sometimes showing a portion of the item will entice the potential customer to click to see more. Follow these simple rules and your Paypal account will thank you! I welcome any more suggestions in the comments! 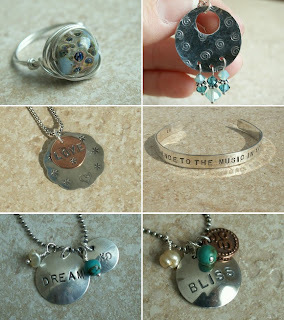 This has been your Monday Tutorial by Quench Metalworks! !